Have you been exploring SIM card security cameras for locations with no power and Internet on site? Chances are good that you only find fragmented information of SIM card CCTV security cameras online, not knowing where to start. The security cameras with SIM card, often referred to as cellular security cameras, operate on the 4G/3G phone network to transmit image and video signals wirelessly. That way, you can view real-time videos of places without WiFi and power from anywhere on your phone. And of course, you’ll also be informed when the 4G/3G SIM card security cameras are triggered by motion events. To save your precious time, this comprehensive post enables you to learn all you want to know about 4G/3G SIM card IP cameras, and yes, within 3 minutes. Many of you may concern that security cameras with SIM card require professional installation, which leads to higher cost and extra trouble. And quite the opposite, SIM card security cameras are simple and easy to install, even if you are a novice. Below are the step-by-step procedures to set up your SIM card surveillance cameras and some important factors you need to consider. Step 1: Check whether your SIM card security camera comes with a pre-installed SIM card or not. Yes: In this case, you need to know if the SIM card in your SIM card based CCTV camera has been pre-activated. If not, you can contact the sales team of the SIM card seller to activate the SIM card. And for some SIM card security IP cameras, the SIM card activates when you set up your camera for the first time. No: In the event that your security camera is packed with a SIM card slot (card not included), you need to purchase a SIM card separately from the mobile service providers supported by your SIM card based IP cameras. Also, make sure that the place you need to monitor with your SIM card CCTV camera has good cellular signals of the data service supplier you choose. Step 2: Properly insert the SIM card and battery into your SIM card security cameras. Place the SIM card into your 4G/3G security cameras in the right direction as the instructions. Otherwise, it may lead to your CCTV camera with SIM card (slot) not working. As the 4G/3G CCTV security cameras with SIM card are generally powered by batteries, it is more recommended to choose rechargeable battery powered IP cameras with SIM card (slot), so you don’t need to spend extra money replacing batteries frequently. Better still, some security cameras with SIM card offers the optional solar panel as a back-up plan. You can simply leave the SIM card security camera there and never have to worry about the power supply. Step 3: Decide whether you need to record videos of SIM Card CCTV security cameras locally. Step 4: Position your SIM card security cameras within cellular network coverage. You are free to place the outdoor and indoor IP security cameras with SIM card anywhere you desire, as long as they are within the cellular data coverage. Step 5: Download the SIM card security camera app and add your device to the app. 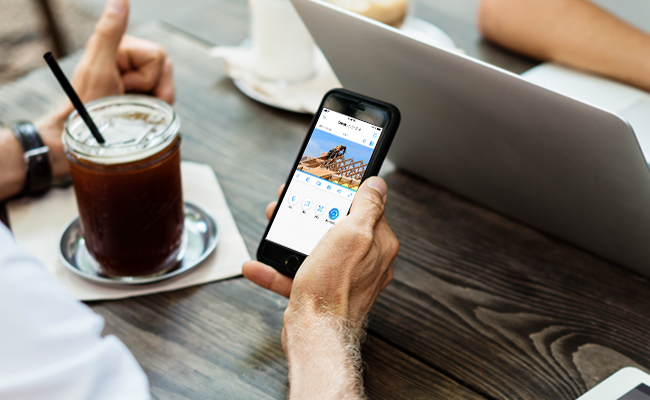 Normally the reputable SIM card IP camera sellers would offer you customized and free camera app, such as Reolink App, to manage the cameras on your smartphone. After you add your wireless security camera with SIM card to the app and complete the camera settings, you can receive instant alerts when motion is detected and view the live feed of your SIM card security cameras remotely anytime and anywhere. Perhaps you are also having this question in your mind, aren’t you? But, NO answers seem to satisfy you, because there isn’t a definite one. Instead of focusing on the specific number of SIM card security IP camera data consumption, it actually makes MORE sense for you to learn when your outdoor security cameras with SIM card would use the cellular data and how to maximize it. The SIM card security camera systems send you alerts when motion is detected and upload videos to the cloud. You access your 4G/3G SIM card surveillance camera to watch live viewing remotely. Your IP security cameras with SIM card have poor mobile signal, and you have to retry for repeated times. When you launch your SIM card security camera app, a very small amount of data will also be used. Adjust the motion detection sensitivity of your security cameras with SIM card (slot) to reduce false alarms. Position your wireless alarm systems with SIM card in low-traffic areas to avoid unwanted motion-detection video clips. Watch the live streaming or play back recorded videos of SIM card CCTV security cameras with a lower resolution. Make sure your SIM card IP cameras are placed within good mobile signal strength. When it comes to selecting the best SIM card security cameras, the camera brand can be one of the most prominent factors you should take into account. Imagine this: when your SIM card surveillance cameras go wrong, hiring a technician to the physical location of the SIM card IP cameras can cost both time and money, especially for the remote areas that are hard to reach. That’s when a reputable camera brand with sound consumer service plays its role. Taking Reolink for example, a reliable security camera brand trusted by 2,000,000+ families from 200+ countries & regions worldwide, it is one of the few camera sellers which own the mature technology of 4g/3G SIM card security cameras. Its newly-released SIM card security camera Reolink Go has got a roaring reputation due to the outstanding performance and decent price. If you should have any problem with its SIM card surveillance camera, the technical staff from Reolink will provide free remote troubleshooting service, no matter where you are. The 1-to-1 global support is surely one of the secrets why Reolink owns such a massive customer base. And its product also shines! Watch the video below to check out the image quality of Reolink Go SIM card security camera (shared by a user Jens on his Youtube channel). 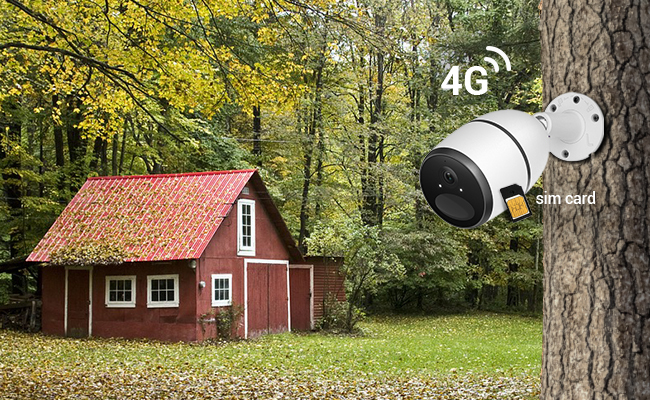 With the security cameras with SIM card (slot) like Reolink Go, you can monitor your barns or farms remotely on your smart phone even without WiFi or Internet, keeping tabs on the activities of the sick horses or pregnant cows. Here we’ve collected some common questions asked about the SIM card security cameras. And if you have any more problems about the security cameras with SIM card, please feel free to leave your comment below. Firstly, you should settle on a mobile service provider that can work with your SIM card security cameras in the monitoring place, that is, have good phone signals there. After that, you may consult the cellular service supplier what data plans are provided and choose the one that best meets your security needs. Yes, it’s about the same if your SIM card CCTV security cameras and cell phone are using the data from the same mobile network supplier. In case your smartphone has strong mobile signals (at least two bars), it’s very likely that your 4G/3G SIM card security cameras can stream fluent videos to your phones. It is more recommended to use the rechargeable lithium batteries (make sure you choose a rechargeable battery powered security cameras with SIM card first) for your SIM card security cameras. And the reason is that, the lithium batteries can operate in extremely weather conditions where alkaline batteries cease to function. The lifespan of your SIM card based IP cameras will also be extended with lithium batteries. This entry was posted in Buyer's Guide and tagged sim card security camera. I want to know more about your product. 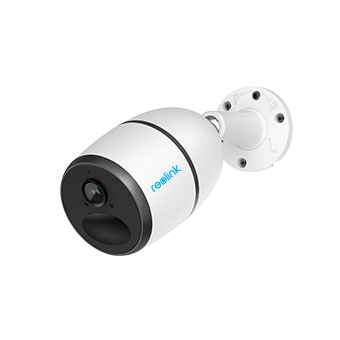 Hi, Andrew, you can learn more details about the sim card security camera Reolink Go here in the product page, /product/reolink-go/. And if you have any more questions, plz feel free to let me know. Do you have any rep/disty in Malaysia? Hi, Hairi, yes, we do have distributors in Malaysia. If you are also interested to be our business partner, plz view more details here, /distributor-reseller/. Hi there, yes, the sim card security camera Reolink Go would be the most ideal option for you, /product/reolink-go/. It is capable to work without Internet and also allows you to view the live feed of your animals on your phone from anywhere. Hi there, currently Reolink Go is not available in Greece, but more European countries will be supported in the near future. You may subscribe to us for the latest progress here, /lp/reolink-go/. Hey❤ I wanna ċhαt with you? I want to buy a Reolink camera and monitor it using my Moto Z force 2 cell phone. My cellular service provider is Verizon. But I am told that the Reolink camera will not work over the Verizon network. Why won’t this camera work with a Verizon sim card and over the Verizon network? This makes no sense to me..
Hello, there, our R&D team is still testing the Verizon SIM card on Reolink Go. Please stay tuned and you will be informed asap if there are any updates. Do you have distributor for the camera in Africa pricisely Nigeria. Hi there, currently the SIM card security camera Reolink Go is not available in Nigeria so we don’t have a distributor there yet. Jenny thanks for response…ple ple can we talk via email. Hi there, you can contact me at jenny@reolink.com if you need any help and I’ll get back to you soon. Hi Teresa, thank you for your advice and I have forwarded your ideas about the website design to our team. Regarding your second question, the 30-day guarantee refers to the money back guarantee. That is to say, if the products did not meet your expectations, you can request for a full refund or exchange within 30 days from the date of delivery. And we also provide 2 years’ limited warranty for the IP cameras and systems purchased from Reolink. You may check here for more details, /warranty-and-return/. Hope the above would clarify. First I need to check the camera control over the app in mobile before I purchase, is it possible? Hi there, you can rest assured that you’ll be able to control Reolink Go easily on your mobile phone via the intuitive Reolink APP. Also, we offer our customers 30-day money back guarantee and 2-year limited warranty for our IP cameras/systems. So, you don’t have to be worried about your investment if you are not satisfied with the products. Hi there, you may have a look at the Reolink Go, a 1080p battery-powered security camera with SIM card. With the smart built-in PIR motion sensor, it will wake up the instant when movements are detected and start recording. Check here for more detailed info, /product/reolink-go/. Please let me know if you have any further questions. Hello, there, Reolink Go needs a 1 GB data plan monthly with default settings. You may click here https://support.reolink.com/hc/en-us/articles/360008997773-How-Much-Data-Does-Reolink-Go-Need-in-Normal-Usage to learn more detailed information. Hope this helps. Hi there, currently we only offer the battery powered SIM card security camera. You can also connect it to the solar panel for non-stop power so you don’t need to charge the battery frequently or worry about power outage.